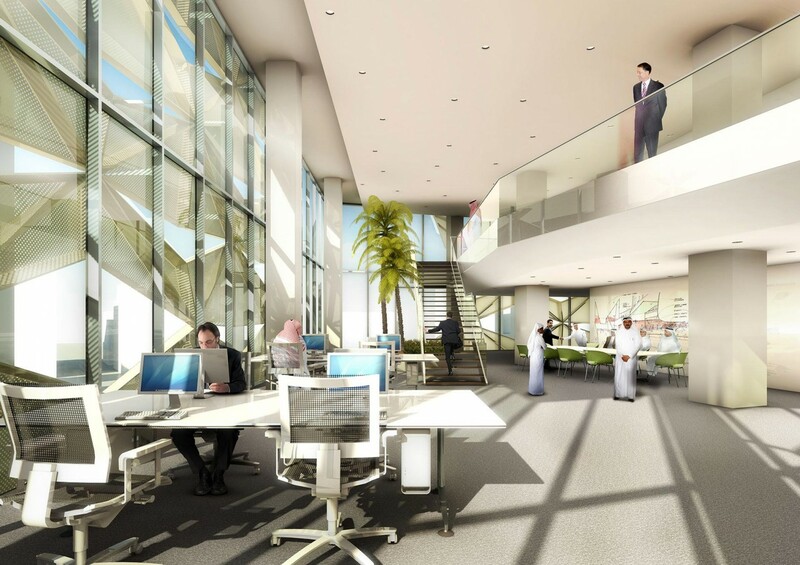 Parcel 1.11, part of the prestigious King Abdullah Financial District development, is a high-quality office building with retail spaces on the Wadi, Parcel Ground and Skywalk levels. 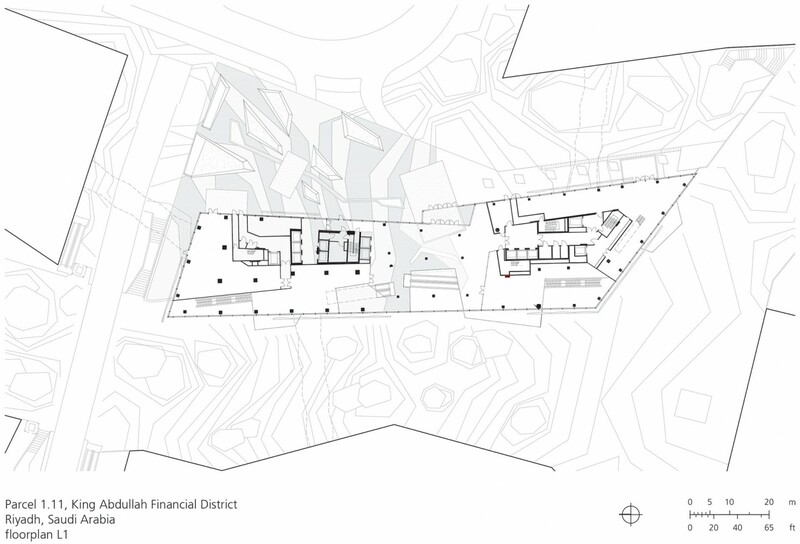 The Master Plan for the entire King Abdullah Financial District defines a set of precise design criteria for the project. Working within these parameters, the building’s massing developed in the form of two interconnected towers. The north tower achieves the maximum building height of 83 meters above the parcel ground level, while the lower south tower steps down toward the mosque. The separation of the two towers affords a unique and instantly recognizable building form and establishes important visual connections across the site. 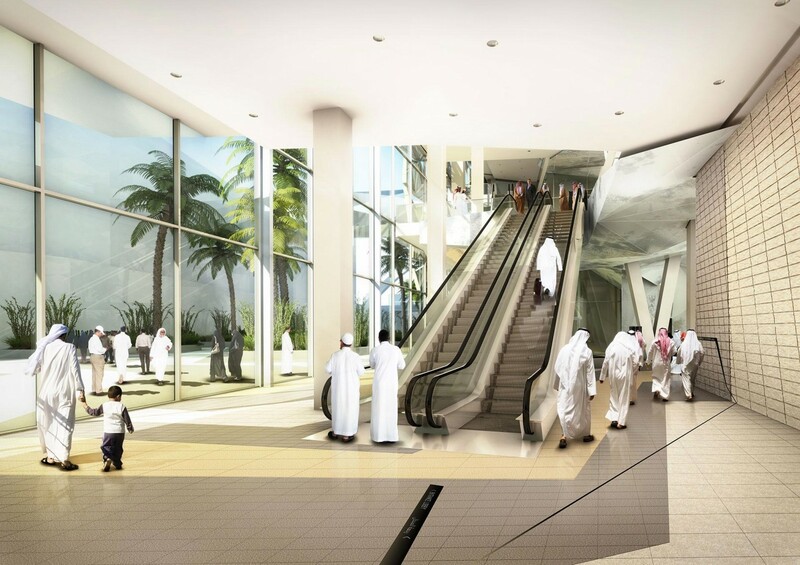 The site is flanked to the South and the West by the Wadi, a generously planted public concourse which runs through the center of the entire development. 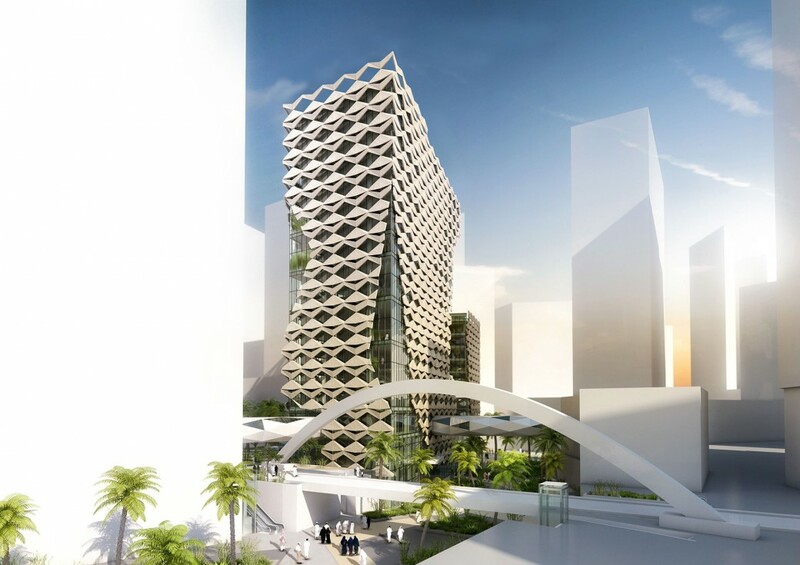 The Wadi itself provides clues to the character and arrangement of the new building with abundant vegetation continuing to climb up between the two towers over a series of terraces, creating seasonal outdoor meeting spaces that serve as valuable amenities for the respective office suites. These high quality outdoor areas are complemented by lobby/reception areas, representative waiting areas, business lounges and conference room spaces that serve as the communicative heart of the building. Each of the towers is served by its own bank of elevators. Various configurations of one, two, three and/or four suites per floor are possible to meet future tenant requirements. 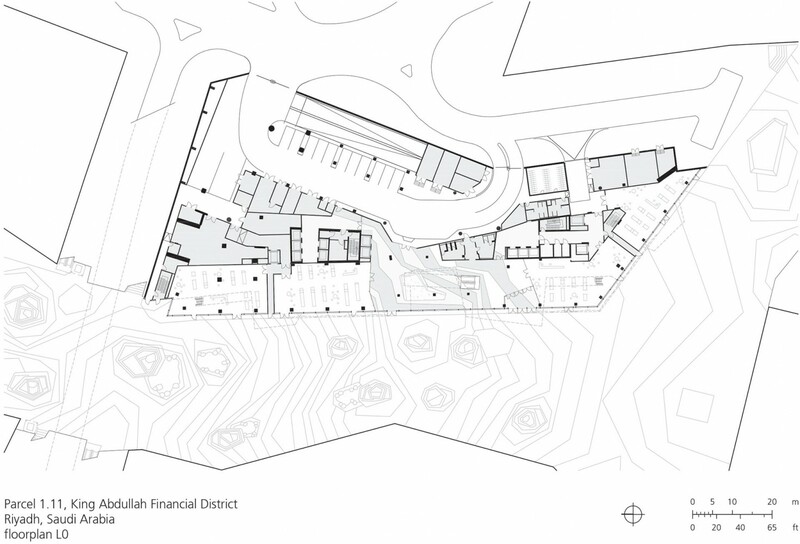 The modern, flexible and future orientated office building has the potential for tenant suites to expand horizontally and also vertically since tenants can occupy two or more interconnected floors. The floor plates are punctuated throughout the building by generous voids and stairs, creating representative double-height spaces, promoting collaboration amongst the workforce. 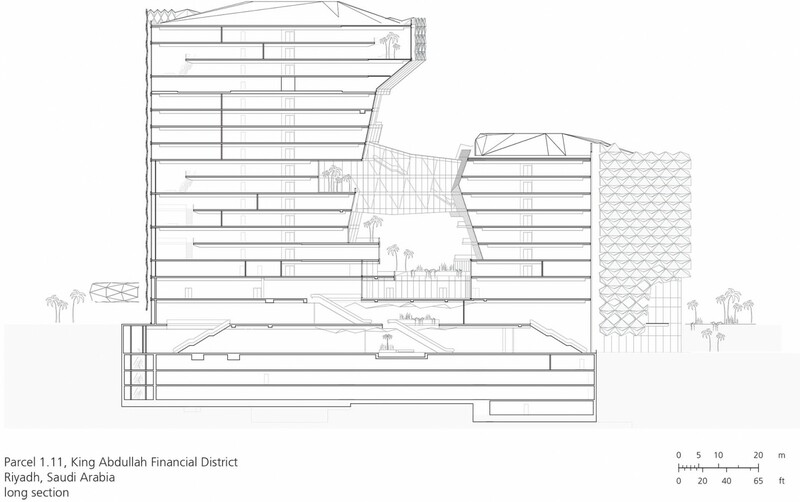 In addition, the multi-story bridge spanning between the towers allows for office suites to spread across the north and south towers, or alternatively allows for the building to be occupied by a single tenant. 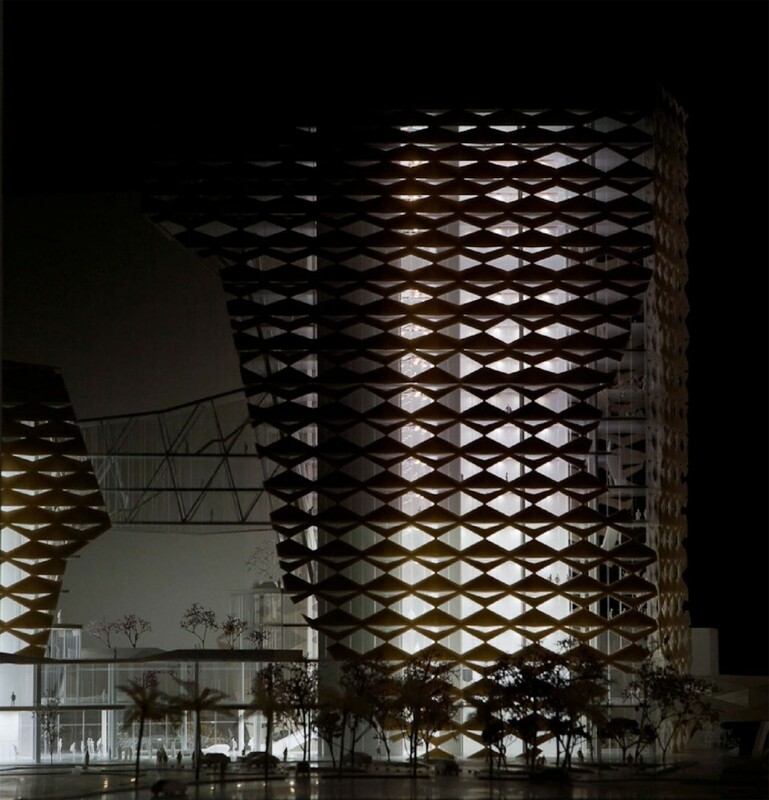 The envelope design is comprised of two unitized layers – a fixed shading elements and a simple, glazed thermal façade. 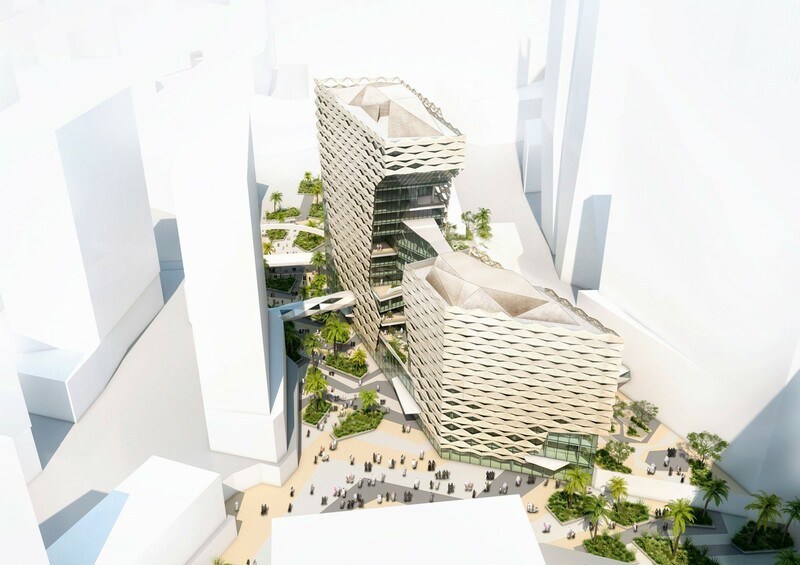 The expressive form of the story-high, fixed shading elements lends the building a distinct appearance: the configuration of large-scale apertures responds to orientation and proximity to neighboring buildings in allowing for views to the outside, while importantly controlling solar gains. 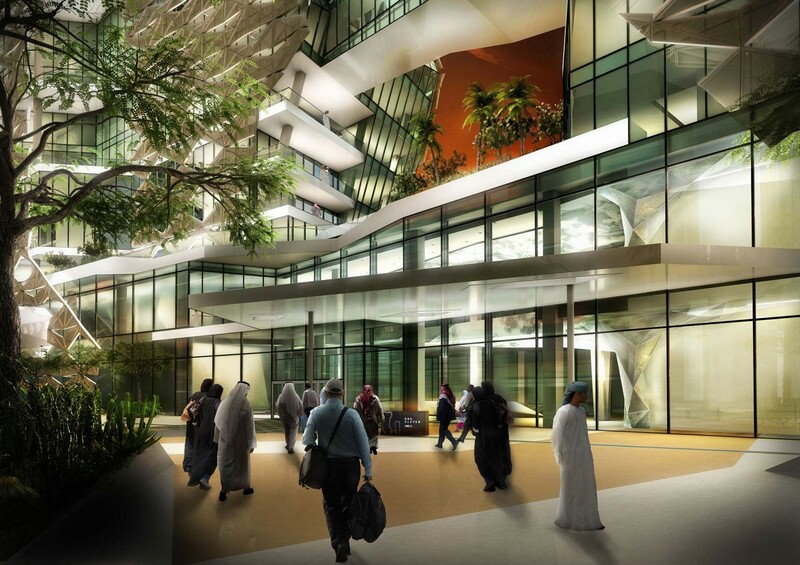 54.000 qm / 581,000 sq.ft. 260.000 cbm / 9,181,900 cu.ft.